Christmas is coming, now we’re in December I’m not ashamed to hide my Christmas decorations! I am bringing you an exciting blog post today; something a little bit different for me, my first ‘blog hop’. Thank you very much to Kimberly from Swoon Worthy for organising this as it is not an easy task! 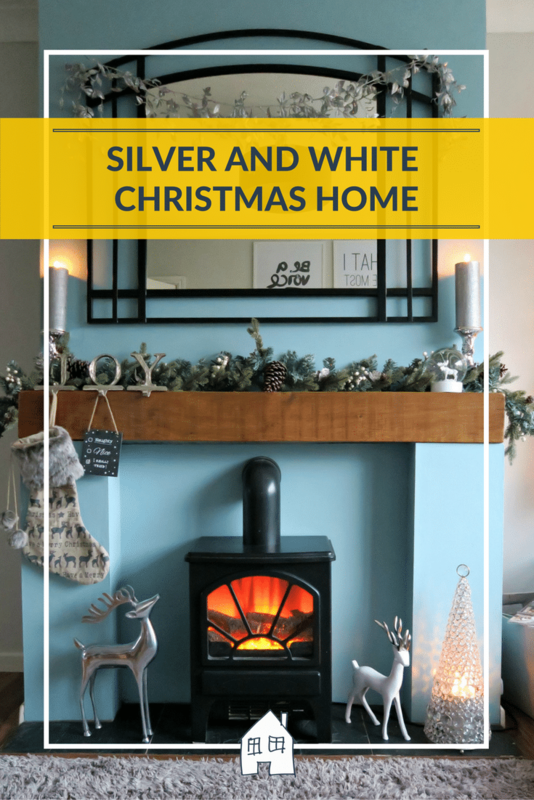 For my readers this is such a great idea though, because I can assure you that I am joining in with some fantastic interior bloggers who will be bringing you some beautiful Christmas interior ideas to fill your homes with. Each day, more and more interior bloggers will link up with us and you can use the #UKHomeBlogHop on Instagram to find out who is joining in, and I will also update this post each day with the new bloggers who are taking part. Thank you to all the readers who have come from the blog before me in the blog hop, the amazing blogger Anna at Don’t Cramp My Style who has the most prettiest pastel pink interior style, if I didn’t have kids and a puppy I would be rocking this look in my home……maybe when they’ve moved out! So, onto my post. 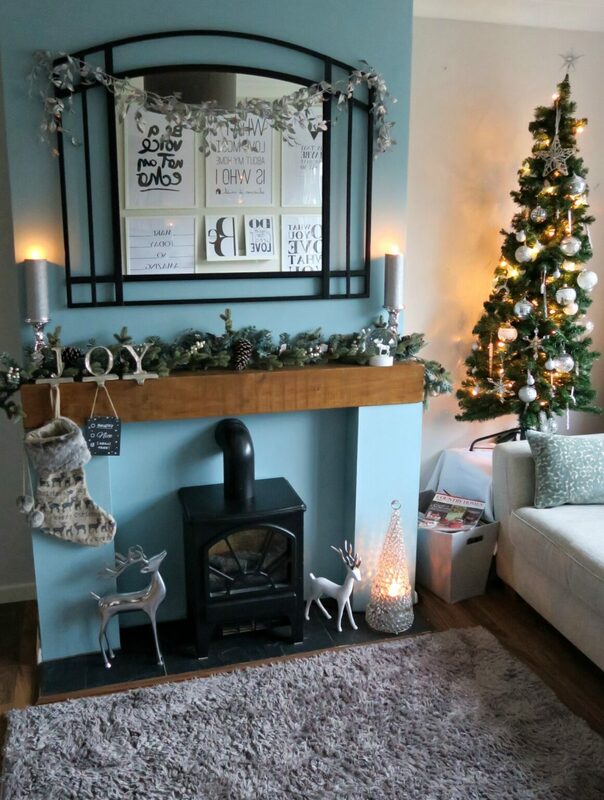 I wanted to show you some ideas on how I have decorated our home this Christmas. You would have already see my Christmas table and as we have a lounge diner I wanted it to work together. 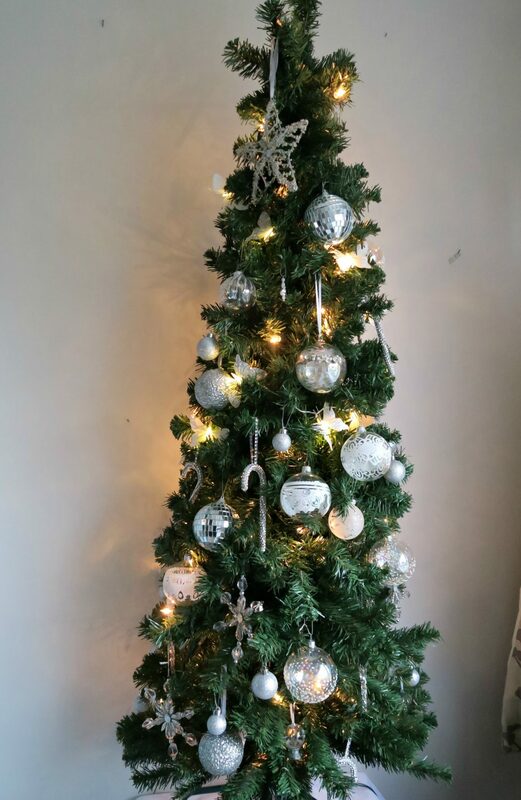 You will notice a few things that I have used from my Christmas table, but I thought it would be handy to use these things for both decorating our home and then on Christmas Day moving them onto the table. Then you can use them for the whole Christmas period, and not just one day. 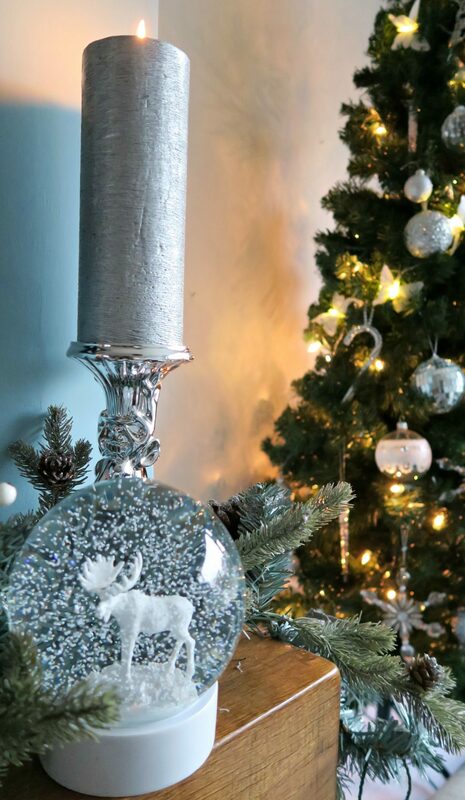 The candle sticks can be used on the end of the fireplace, accompanied by the beautiful snow globe. I always remember having a snow globe as a child at Christmas, and watching the snow falling in the globe. I loved this one, it is really heavy and great quality. HomeSense had various stocking hangers, coming in all sorts of words and number of hooks. 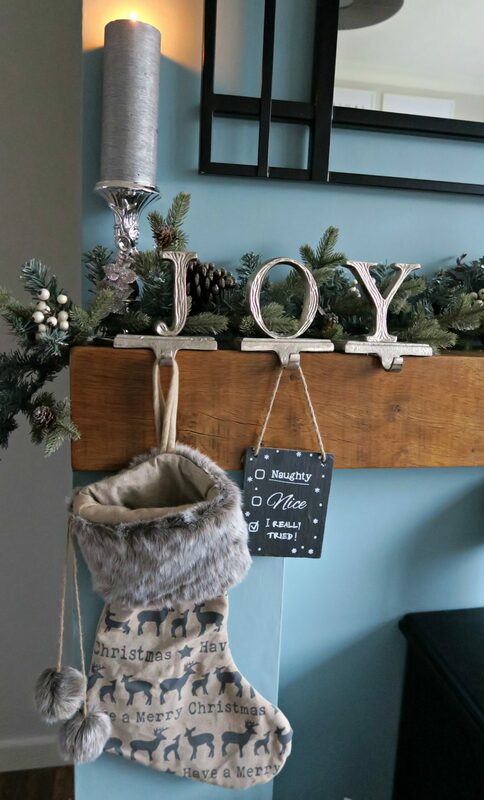 I found this one ‘JOY’, and set against the snowy garland it works really well and looks perfect with a stocking hung, waiting to be filled (as long as you have been good boys and girls!). I have a thing for Reindeers this year and thankfully they came in all sorts of sizes and colours. I went for a little and large! Also, the Crystal spire placed on the edge of the hearth, the sun hits this and the rainbow patterns flood the room. You can also place a candle inside, to create a warm glow. 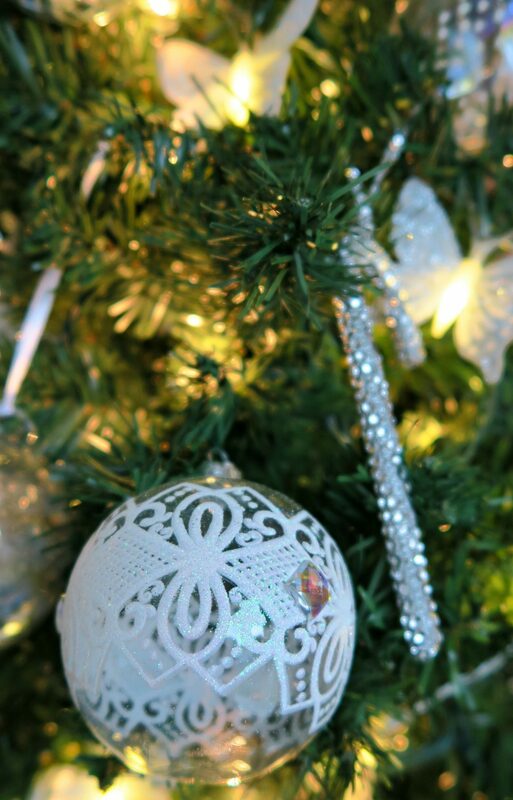 I also topped up the Christmas tree with some really pretty glass baubles, have a dig around on the shelves of HomeSense and you will find some stunning ones. Then we have outside the house, I have wanted to get a new wreath for years, but never been able to get one that I really liked and didn’t cost a small fortune. Until I found this one…..how beautiful is it, really thick, full of colour, but not to over the top. I am so pleased with it, and I also spotted this little ball that matched the wreath. This can hang on my hanging basket hook, saves leaving it empty for the winter. I have always wondered how I would attach it to the door, but HomeSense had a wreath holder as well. Hooked over the door, with a little metal Christmas tree shape to finish it off. I think it looks so nice. 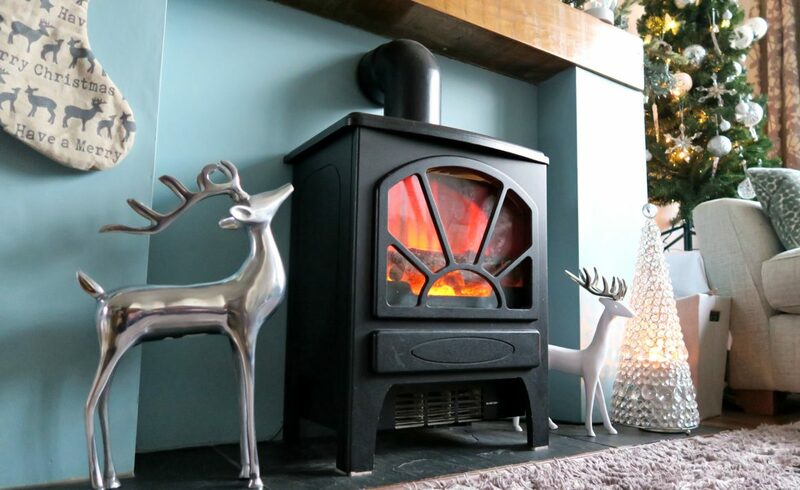 We’re in full on Christmas mode now, with visits to Father Christmas planned and cosy nights in, curled up in front of the telly and making the most of the dark nights. Hope you like what we have done, and picked up some nice ideas for your home. Don’t forget to pop by to Little Big Bell tomorrow at 11am where the hop will be continuing, and you can see what even more bloggers have created for Christmas. Here is a list of all the amazing bloggers taking part, this will be added to each day through this week, once their post have gone live. He is a Golden Retriever x Poodle (Goldendoodle) he’s a real cutie! 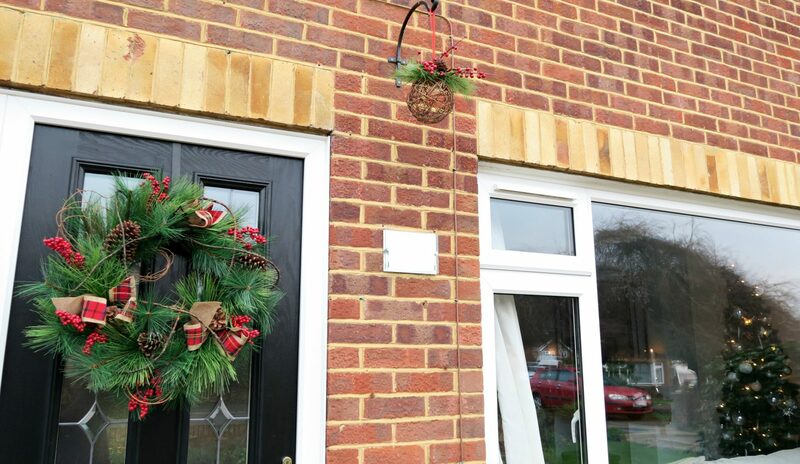 Your house looks absolutely spectacular – and very festive! 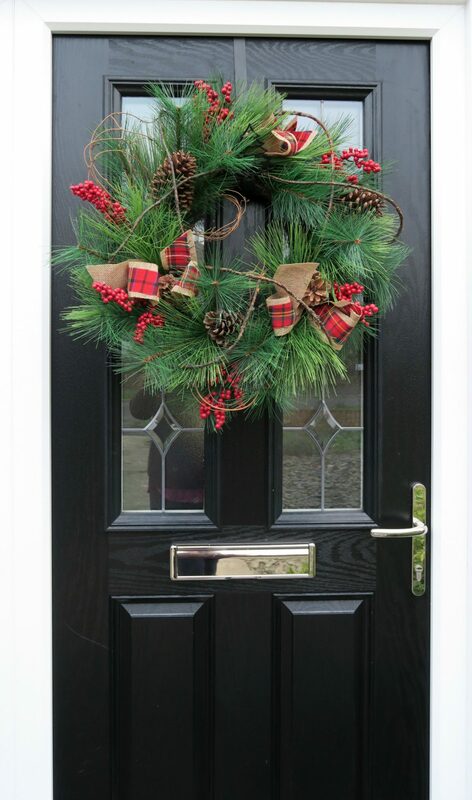 Christmas is a great chance (or excuse) to spruce up the house, and maybe even add a fresh lick of paint – especially with family and friends continually visiting over the month. 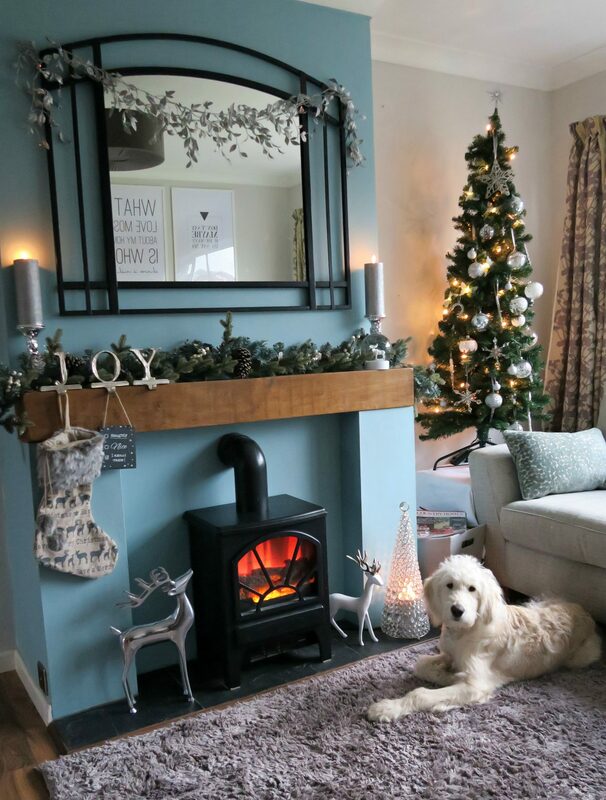 Your blue fireplace is particularly captivating – it’s fun often creating features in the house like this, and accentuating areas by adding a vibrant colour. Really jealous of your mantel! 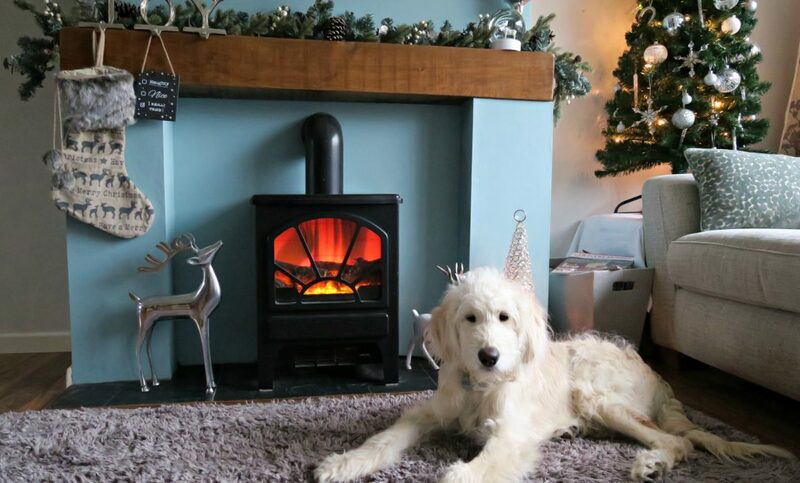 I definitely find that I miss having a fireplace so much more at Christmas. I’m running out of surfaces to fill with festive ornaments haha! I love when you can decorate your mantle – ours is not deep enough! Looks so festive with the garland and the crackling from the fire will only add to the character. Love love love! It’s all so Christmassy!!!! You chosen such lovely items. The snow globe is gorgeous! It looks lovely! The reindeer are gorgeous and really effective. I nearly bought the Joy stocking holder, so nice to see that in action.